I’ve signed up for National Blog Posting Month which means I’m blogging every day of November, 2013. I’ve been keeping chickens for a couple of years now. Right around this time every year their egg laying starts to drop off. This is because the days are getting shorter: chickens need 14 hours of sunlight each day for maximum egg production. 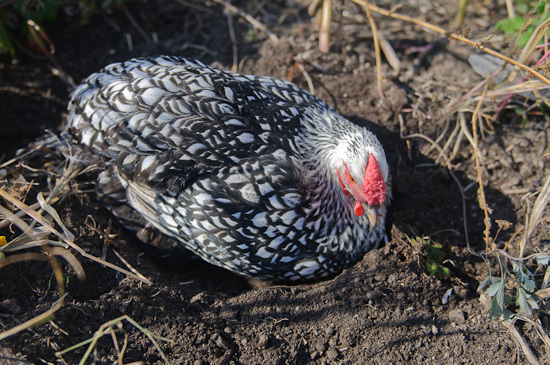 While you can certainly let nature take its course and wait until spring to have lots of eggs again, most people who keep chickens prefer it if they keep laying eggs in the winter. It’s pretty easy to make this happen. You just have to “trick” their bodies into thinking the days are longer than they actually are. The best way to do keep your chickens laying eggs in winter is to install a light on a timer in your chicken coop. You don’t want to artificially extend the nighttime hours, though. You want to set the timer to turn on the light at around 3:00 A.M. and have it go off at dawn. Keep in mind that 14 hours of light is best and adjust your timer accordingly. Is there anything else you need to worry about as far as chickens go in the wintertime? 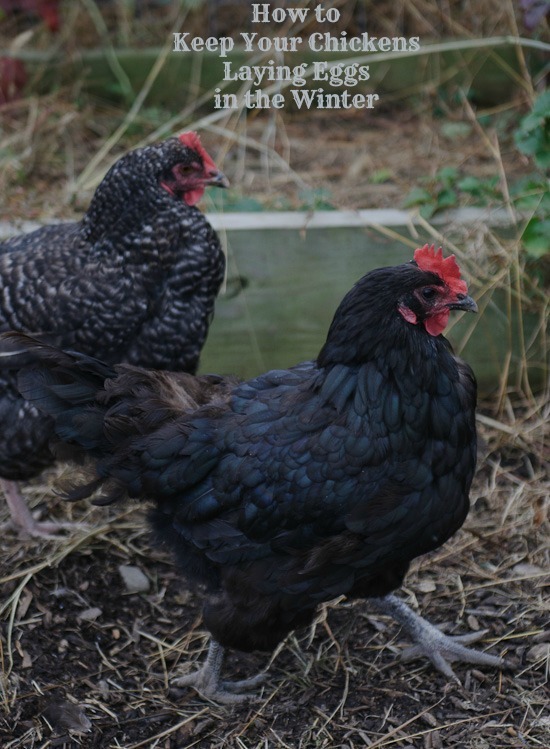 Not really: many breeds of chickens are quite winter hardy. 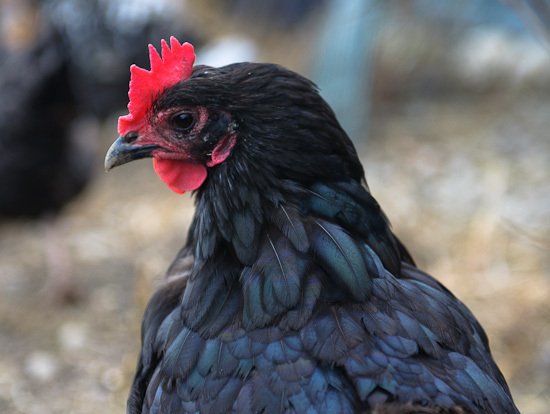 If you live in an area with cold winters (like I do), Americaunas, Braumas, Plymouth Rock and Rhode Island Reds are among the many examples of cold-hardy chickens. 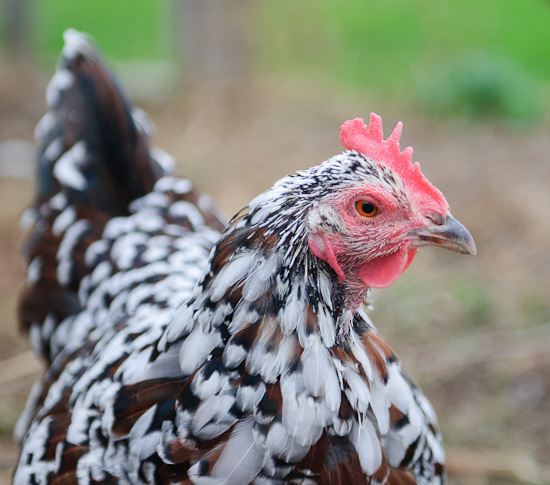 You don’t need to worry about heat lamps in the coop for these types of chickens, but do make sure your coop is be free of drafts and that your chickens have a snow and ice-free area to roam, if possible. Plastic sheeting or tarps over and along the sides of their run (if you have one) should do the trick. You may want to consider bulking up on the shavings on the floor of the coop to add some insulation and make sure they’ve got plenty of food (organic, if possible) at all times. 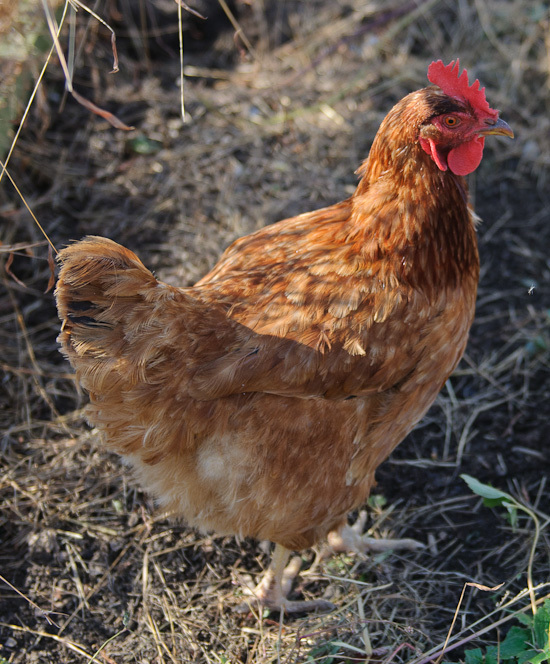 If your chickens are free-range, remember that their selection of plants will be very small in the winter, so you’ll need to feed them more than in the warmer months. Lastly, you will need a special electric unit that will keep their water from freezing: these are available at stores that sell chicken supplies, or you can look for them online. We’re hoping to eventually keep some chickens in our backyard, but we aren’t quite ready to make the commitment yet. Just out of curiosity, how many hens do you have?